Cover pencils by Frank Miller, inks by Wally Wood. 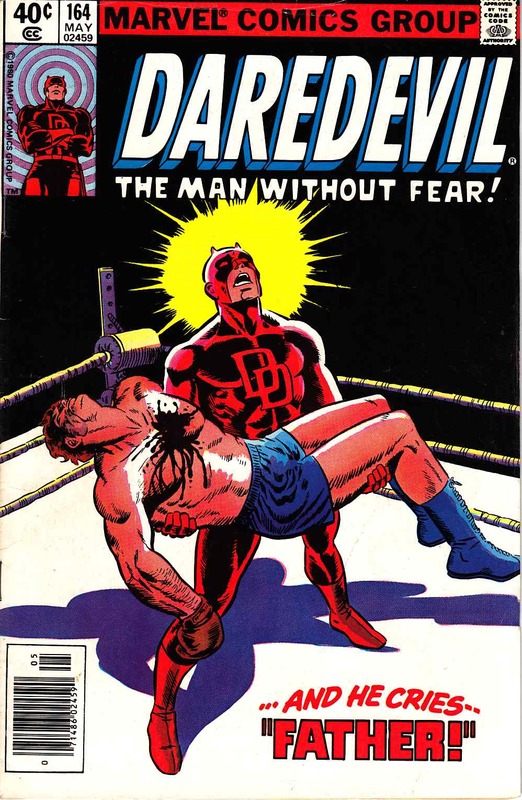 Expose, script by Roger McKenzie, pencils by Frank Miller, inks by Klaus Janson; Ben Urich confronts a hospitalized Daredevil with his origin and identity, and DD tells him the whole story; appearances by the Black Widow, the Vision, the Scarlet Witch, Captain America, Thor (the Avengers), the Fantastic Four, Luke Cage, and Iron Fist. Previously unpublished Miller/Janson cover appears inside.